Obituary for Edward Leonard Friedman | Doolittle Funeral Service, Inc.
Edward Leonard Friedman, 94, of Middletown, died peacefully at home on January 30, 2019. He was born in New York City on September 18, 1924. He was predeceased by his wife of 60 years, Betty (Barnhart) Friedman in 2012, and is survived by 4 children and 4 grandchildren. After serving in the Army in WWII, Ed earned his B.S.S. in psychology at the City College of New York. While working on his PhD at Duke University, he met and married his wife, Betty. 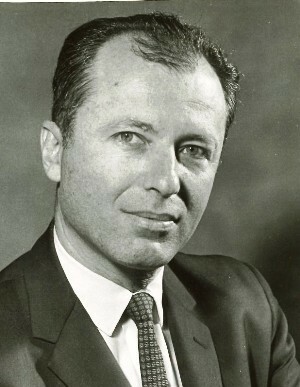 He received his PhD in psychology from Duke in 1956, moved with his family to Middletown, and began work at Connecticut Valley Hospital. He worked at CVH for more than 30 years, many of them as the Chief of the Alcohol and Drug Treatment Service. In 1985, he was honored for his service as a founding Board member and longtime consultant to The Connection and its community-based treatment and re-entry programs. He retired from CVH in 1989 and enjoyed many years fishing, gardening, taking day trips with his beloved wife, and visiting with his children and grandchildren. Ed was an active member of Adath Israel Synagogue for more than 50 years and was honored for his service as President and other volunteer efforts at the Synagogue. He is survived by his children Sharon Sekoll and husband Robert of Manchester; Deborah Friedman of Augusta, Maine; Sheldon Friedman and wife Susanne of Arlington, Massachusetts; and Jonathan Friedman of Ashland, Oregon; granddaughter Jessica Golembeski of Middletown; and grandchildren Spencer, Sawyer and Zoe Friedman of Arlington, Massachusetts. Along with his wife, Ed was predeceased by his sister, Anna Jean Pollack. Funeral services will be held on Friday, February 1 at 9:00 am at Congregation Adath Israel Synagogue, 8 Broad Street, Middletown. Interment will follow in the State Veterans’ Cemetery. Please omit flowers; charitable donations may be made to Congregation Adath Israel Synagogue, P.O. Box 337, Middletown, CT 06457 or the charity of one’s choice. To share memories or send condolences to the family, please visit www.doolittlefuneralservice.com.